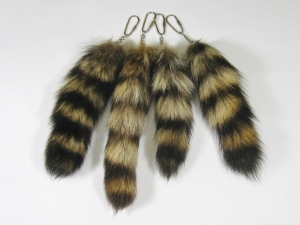 These are REAL natural brown raccoon tail keychains. They come in various lengths, averaging 10 cm to 36 cm. They have not been dyed and so will have variations in color.